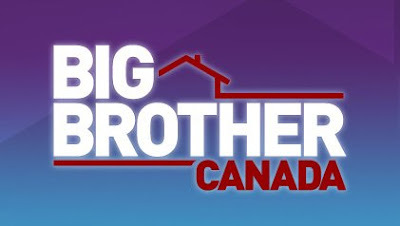 Two burning questions inside of my head since the announcement of Big Brother Canada have been: will they cast a francophone and how is the speaking French in the house going to effect people's game? As a resident of Western Canada I can attest to the fact that there are many people on this side of the country who are not fluent in our other official language. Not fluent, or they are like me and didn’t retain anything besides 'je m'appelle Jessica' and chapeau from French class. Would this fact give the bilingual houseguests an unfair advantage in the house? There are arguments for both sides. Yes, it would because bilingual houseguest could form a super alliance. They could speak without fear of someone overhearing their plan. No, because if a non-ally heard you speaking French they would automatically assume that you were plotting something devious. Also, would this annoy the English speaking population because they would then be forced to read dreaded subtitles? I for one, think that it would have brought a really interesting twist to a show that we have been used to watching in one language. When the audition cities were announced I was really excited to see Montreal on the list. First of all, there are a lot of awesome eccentric bodies in Montreal. They would have been entertaining enough by themselves, but then throw in the fact that they would most likely be a francophone and it would have been dynamite. Imagine my surprise when last week the cast was revealed and there was not a sole from Quebec. Not only that, but there wasn’t anyone from Ottawa, a bilingual city, or the two bilingual provinces Manitoba and New Brunswick*. I was secretly hoping for an Acadian AND a francophone, they could have duked it out over Chiac being a real language. Now that I have pointed it out, I am sure everyone is annoyed that that scenario isn’t going to be seen. Then the conspiracy theories started rolling around in my head. Were there rules about not speaking French in the house and then all of the people they were going to cast from those regions pulled out? Did they not cast anyone because they didn’t want to deal with the French issue? Are the people in the house going to be allowed to speak French if they so choose? For answers I went straight to the source. I reached out to a representative from Shaw Media who gave me the following statement around my theory on a ‘no French speaking’ rule in the house. 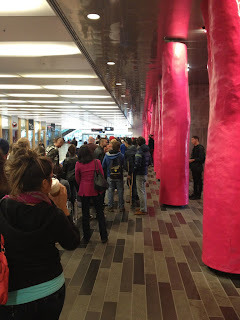 So there are no rules…but why would they need rules with no Francophones? So what about casting? “Throughout casting, Big Brother Canada went coast-to-coast looking for the right mix of highly entertaining characters to live in the Big Brother Canada house. Stopping in Vancouver, Calgary, Montreal, Halifax and Toronto, and offering people the chance to audition online from anywhere in Canada, we really made an effort to represent different regions as well as the diversity that Canada is known for. Who knows, maybe all of the entertaining reality-fame-goal orientated francophones already made their mark on Quebec’s French version of Big Brother that aired in 2010. Now that my questions have received a response I will move on from my francophone obsession and onto something else – where are all the hotties? I am really hoping that the photos of the men in the house just don’t do them justice...or it’s going to be a sad season for me. We’ll find out tomorrow night. HOPES ARE HIGH! *There is one guy originally from Millville, NB, but he currently lives in Surrey, BC. Millville is not in the French part of New Brunswick. But could it be that the regulations regarding contests in Quebec are regulated differently? "The rules make things more troublesome and time-consuming for companies to run contests in Quebec, so the province is often excluded when prizes are over $100"
There wasn't anyone from Saskatchewan, Manitoba, PEI, Newfoundland or the territories either so I don't see why a person from Quebec HAS to be there over any other province. Plus not enough beds in the house for the Language Police to move in and take over.